Around a year ago, the IdeaPad Yoga 13 really kicked the Ultrabook market into gear with an undeniably unique concept and a substantial—yet still affordable—price tag. We were among those impressed by Lenovo’s efforts, as we lauded its sturdy and clever transformative design, quick performance, great screen, and responsive input devices. Still, we noted inevitable room for improvement in such areas as battery life, weight, and LCD brightness and resolution. Today, with the power of Haswell under the hood and a healthy dose of second-gen refinement, the Yoga 2 Pro seeks to pick up where its predecessor left off. 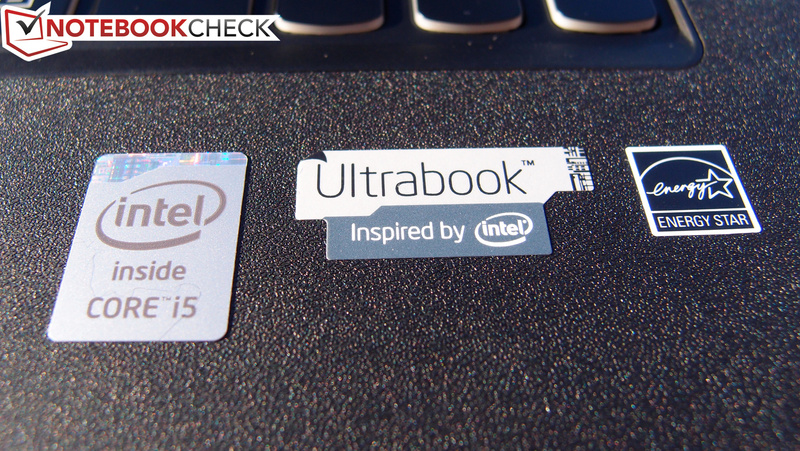 Our review unit features an Intel Core i5-4200U ULV CPU and 4 GB of DDR3L RAM paired with a 128 GB SSD—pretty standard (albeit respectable) specs for a modern Ultrabook. 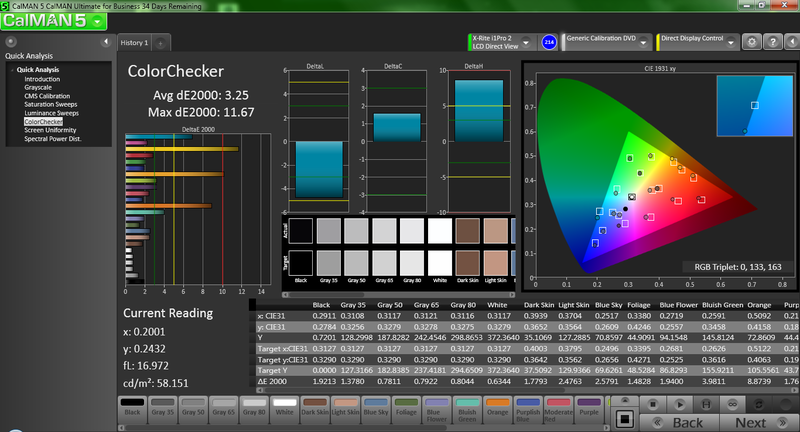 But the real story is the LCD panel: a 3200x1800 resolution IPS model, far higher than that of the Yoga 13. On top of that, the Yoga 2 Pro is thinner and lighter while still promising improved battery life, all at the same $999 price point. 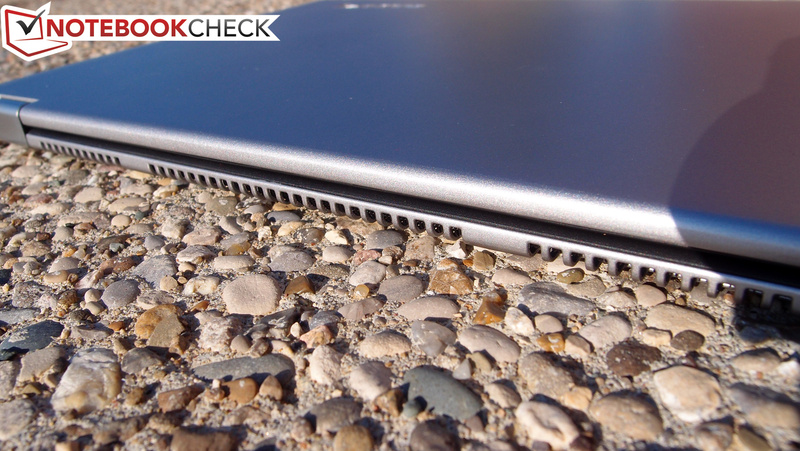 Packing these features as powerful ammunition, where does the Pro stand in today’s Ultrabook landscape? We’ll let our measurements do the talking as we tear into what is certainly one of the most exciting convertible successors to date. 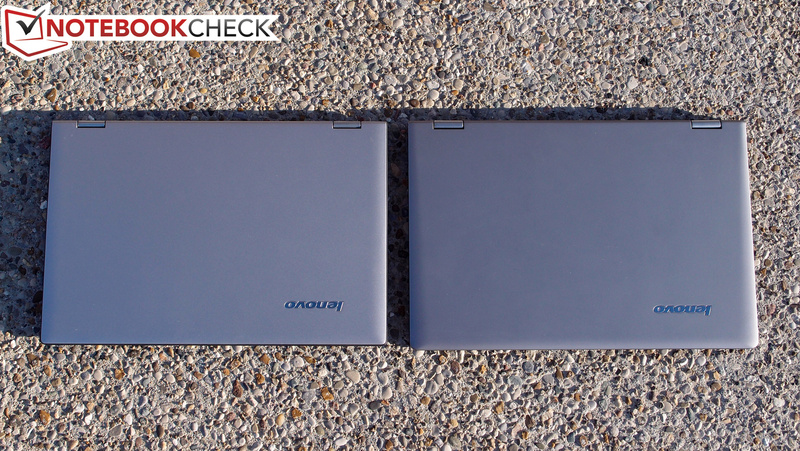 At first glance, the Yoga 2 Pro looks nearly identical to the Yoga 13. Break out a tape measure and spend a little more time with it, however, and the alterations to its design become more readily apparent. For starters, its footprint is slightly smaller than last year’s model, measuring just 16 mm (H) x 329 mm (W) x 219 mm (D) (versus the Yoga 13’s 17 x 333 x 225). It’s also roughly a third of a pound lighter, weighing just 1.40 kg (Yoga 13: 1.55 kg). The rest of the cosmetic changes are relatively minor, yet still welcomed: the screen bezel now extends all the way to the base of the display lid, and the tablet mode Windows button has been replaced by a touch-sensitive iteration integrated into the glass itself. The buttons lining the edge of the unit have also been rearranged, with the power button migrating from its criticized frontal location to the right side, now conveniently positioned alongside the rest of the buttons. The case overall features a more pronounced wedge-like shape. The construction and materials, on the other hand, are nearly identical—and, given that we were impressed with them the first time around, there’s nothing wrong with that. 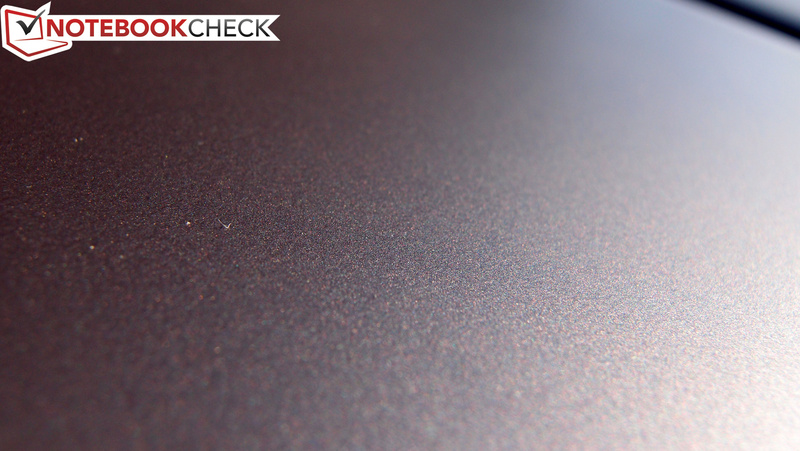 Soft-touch surfaces abound, lining the display lid in matte silver and manifesting in a rubberized patchy texture on the palmrest (again, the same as on the Yoga 13). 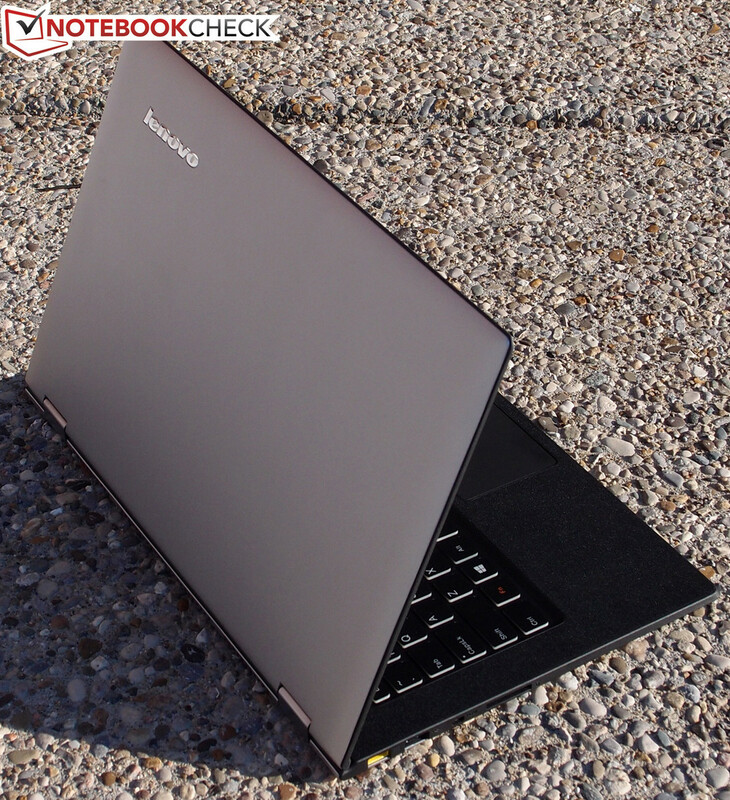 Everything is still predominantly plastic—but it’s rigid, well-fitted plastic, and while it can’t compare to the chiseled aluminum and carbon fiber of today’s highest-end Ultrabooks, it’s leagues ahead of the budget models that frequently retail for half the Yoga’s price. That difference is communicated by the device’s noticeable sturdiness: virtually no flex is present on the base unit while resting on a hard surface, and the keyboard likewise exhibits very little give except at the top center. The base unit and display lid can both be twisted while the unit is open, and the LCD panel does suffer visible distortions under pressure from behind, but it isn’t enough to provoke serious concern—especially since things seem so sturdy while the lid is closed. One slightly less positive point regards the hinges, which, while still certainly strong enough to support the display, allow more bounce during typing and traditional operation than some users will appreciate. Coupled with the high-gloss display, this leads to annoying dancing reflections wherever bright light sources are nearby. Of course, one of the primary appeals of the Yoga series is its transformative ability. The acrobatics return in the Yoga 2 Pro, with the same four operating modes present (Laptop Mode, Tent Mode, Stand Mode, and Tablet Mode). The aforementioned hinge bounce does make operation in anything but Tablet Mode occasionally irritating under brighter conditions, but at least the buttons are more usable now in Stand Mode (thanks to the removal of the small protruding lip on the bottom of the unit around the edges). 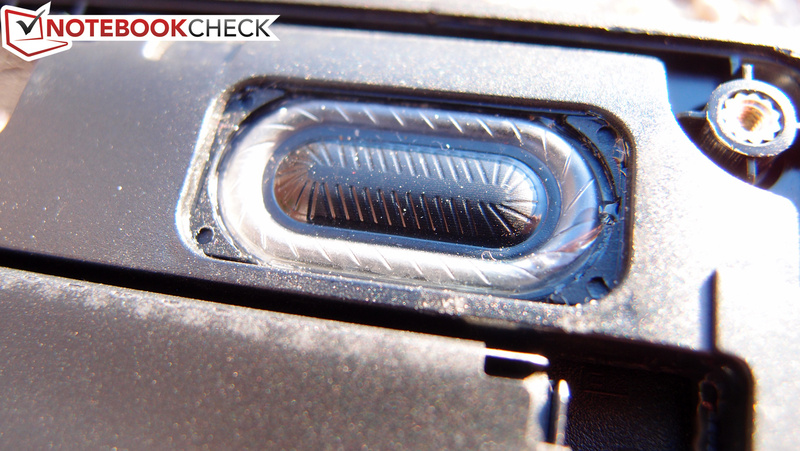 Tent Mode has also been improved, with the metal rim along the top of the unit’s display having been replaced by a rubber one instead for better stability. Finally, that oddity regarding the keyboard being exposed while in tablet mode still exists, but it’s merely a preferential gripe. 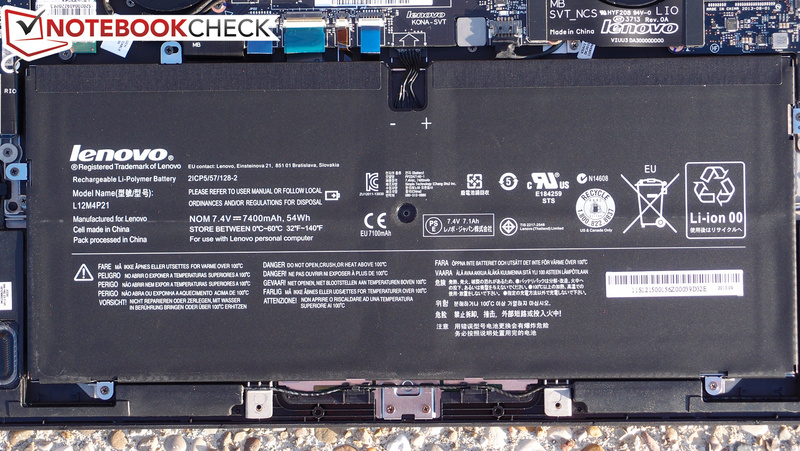 Accessibility of the internal components for maintenance has been notably improved on the Yoga 2 Pro, with nearly every major part now located just behind the back panel. 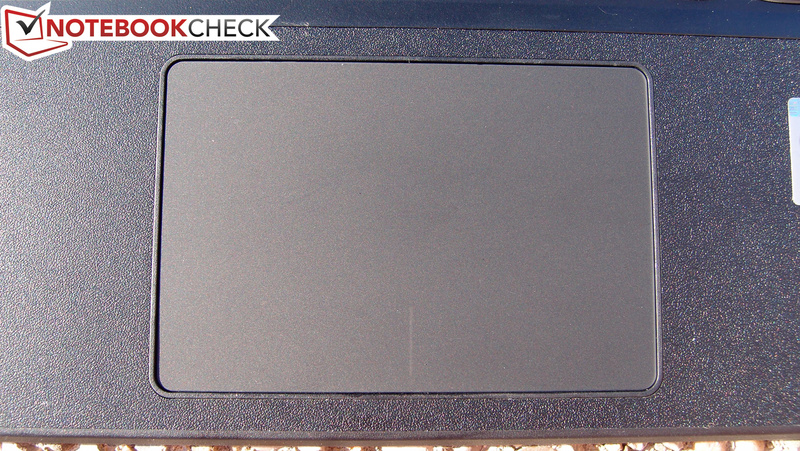 The panel is still secured by eleven Torx screws—a type for which not everyone possesses a compatible screwdriver—but it’s far superior to the Yoga 13’s design. The Yoga 2 Pro’s port selection is actually identical to that of its predecessor, though once again, some rearrangements have taken place. There’s still two USB ports—one USB 2.0 and one 3.0—but the one on the left side of the notebook now has a bit more room to breathe, thanks primarily to the conversion of the HDMI port to an HDMI mini. The SD card reader has also moved to this side of the unit, along with the charging port. The only ports to be found on the right side are the 3.5 mm combo audio jack and the USB 2.0 port, but now, this is also where you’ll find all of the buttons—a better organization overall. The wireless adapter included in our Yoga 2 Pro is an Intel Wireless-N 7260, which is a 2x2 adapter capable of 300 Mbps. 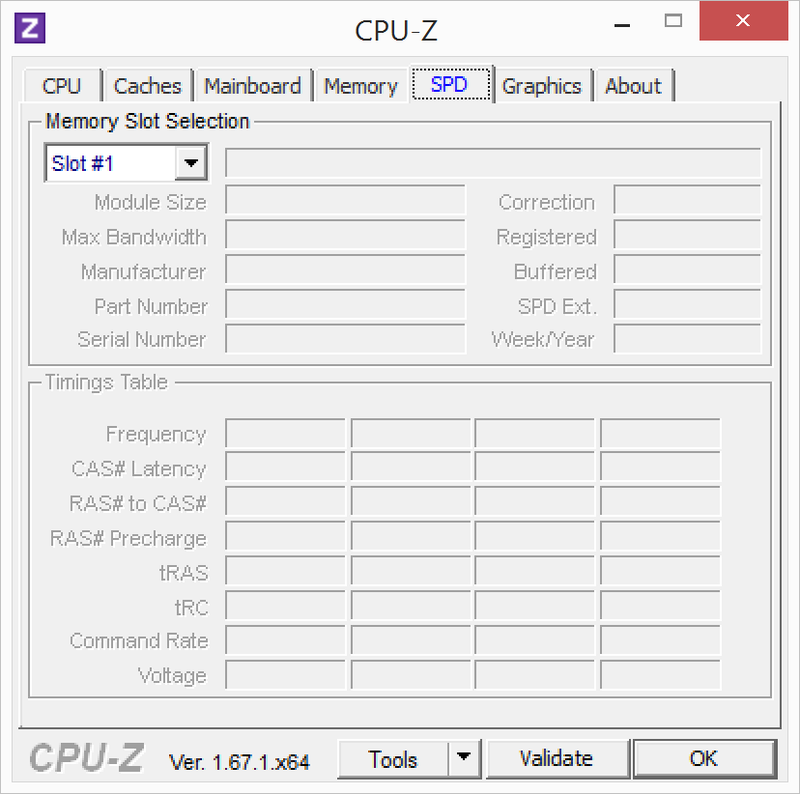 Since it’s dual band, the option exists to interface with either 2.4 GHz or 5 GHz networks. Alongside the WLAN functionality is also Bluetooth 4.0 + HS for connectivity with other nearby devices. 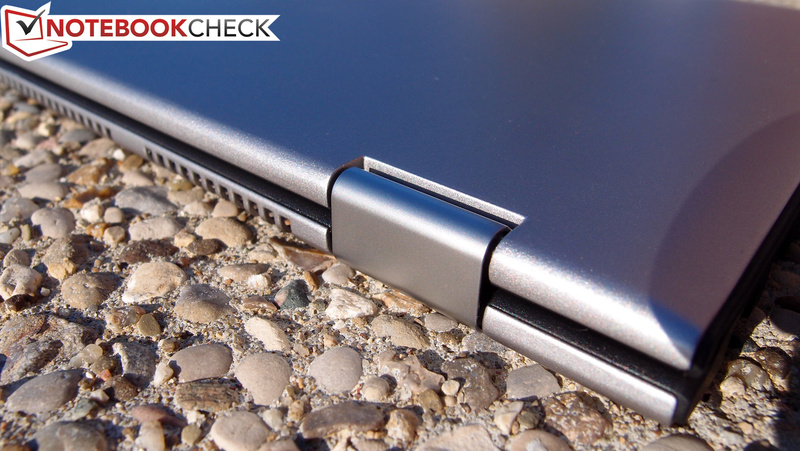 Given the thinness of its case, the Yoga 2 Pro does not feature an Ethernet port. 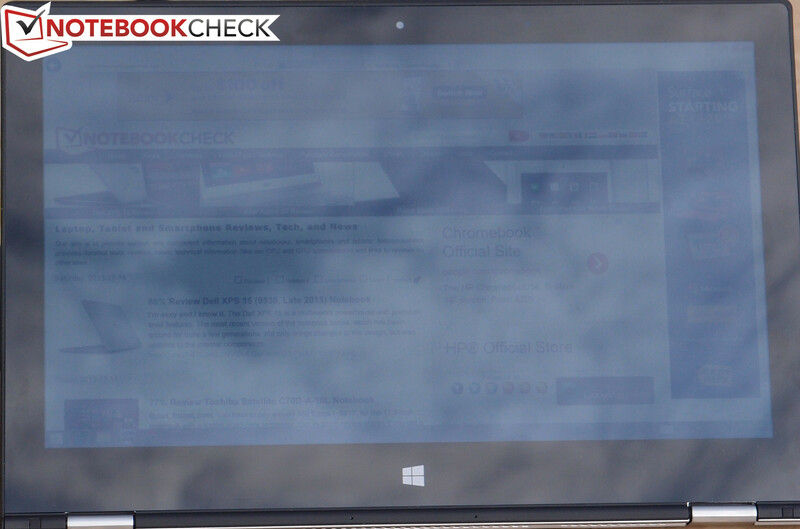 It’s worth mentioning that we did have some pretty serious trouble with the Yoga 2 Pro’s wireless connectivity. Although it would remain properly connected indefinitely, after a period of time, the notebook would suddenly report a lack of network access until the connection was manually re-established. We tried the notebook with both an Asus RT-N66U and a MediaLink MWN-WAPR150N router, and our experience was the same with both. 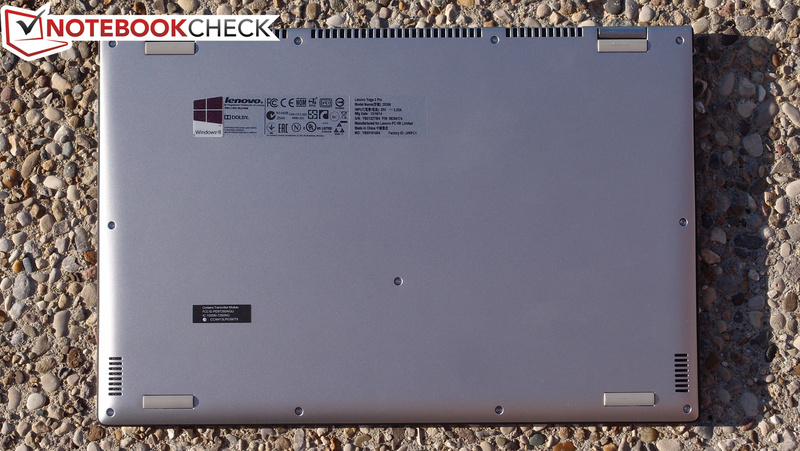 Driver updates seemed to help in our case, though many people report that the problem persists regardless: other owners of the notebook have populated threads on Lenovo’s forums with similar complaints. The common ingredient of all of these issues seems to be the combination of Intel wireless adapters and Windows 8.1, and it does not necessarily appear to be confined to the Yoga 2 Pro. 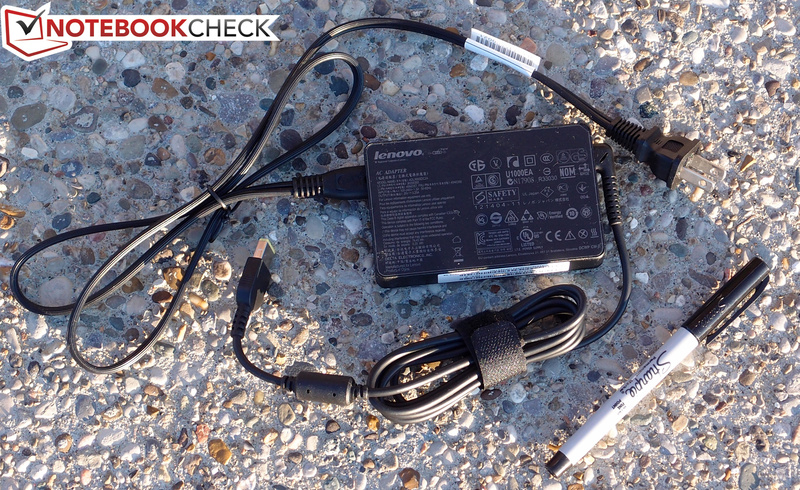 The Lenovo Yoga 2 Pro ships with a relatively compact 65 W power adapter which weighs in at just 292 grams. No other accessories are included. A standard 12 month depot warranty ships with the unit, but as with all Lenovo products, upgraded options exist ranging from up to 5 years in duration with such options as On-Site, Accidental Damage Protection, and Keep Your Drive. 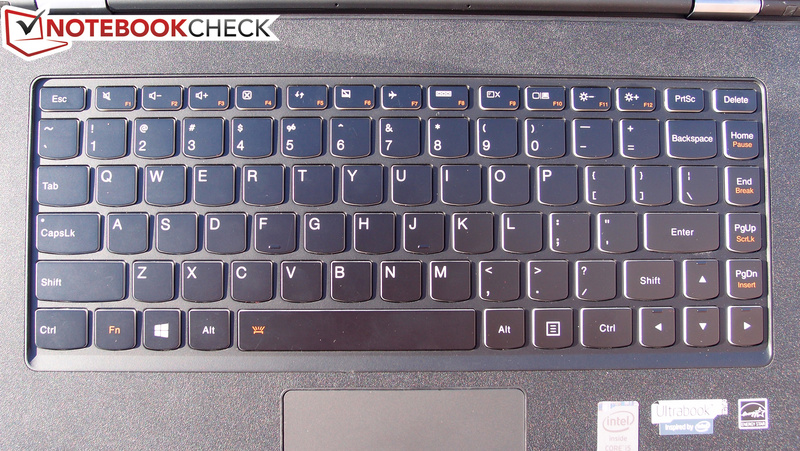 The Yoga 2 Pro’s keyboard is essentially the same keyboard as the Yoga 13’s with a few minor differences. Although there is a relatively crisp stop accompanying similarly low actuation force, the rather short key travel distance has become even shallower on the Yoga 2 Pro. That makes typing ever-so-slightly less enjoyable—but it is difficult to notice unless you have used both keyboards back-to-back. 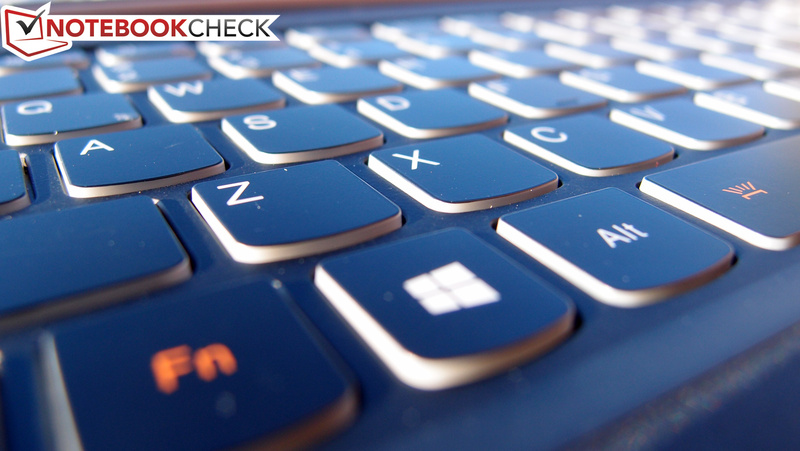 The keyboard is also now backlit, something we longed for in our review of the Yoga 13. It’s a nice addition even if the backlighting isn’t perfectly uniform across the keys and although there is only one brightness level. Our other criticism actually still stands: the keys on the right side of the keyboard feature shrunken widths, which takes some getting used to. Nevertheless, in the context of Ultrabook keyboards, we were more than pleased with the typing experience offered by the Yoga 2 Pro. 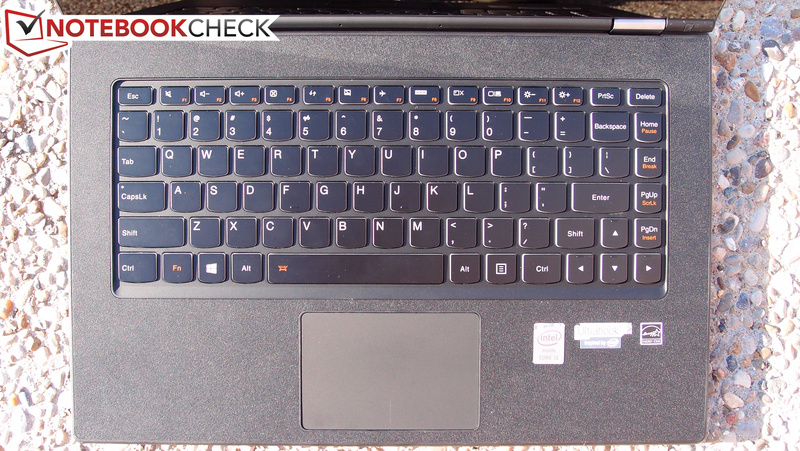 The Yoga 2 Pro’s touchpad is actually smaller than that of the Yoga 13 due to the keyboard having migrated downward by around an inch. Apart from that, it’s still comfortable (if not slightly cramped given the overwhelming amount of screen real estate), featuring a smooth glass finish that accommodates finger movement. 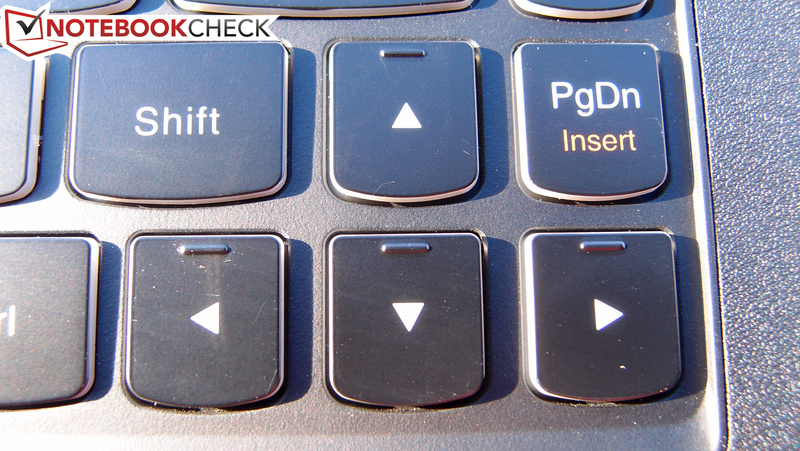 The integrated left and right buttons work much better than those of many other clickpads (including the less-expensive IdeaPad models such as the Flex 14); we experienced no unintended cursor movement when depressing either of the buttons. Finally, gestures worked well and were interpreted without any problems. 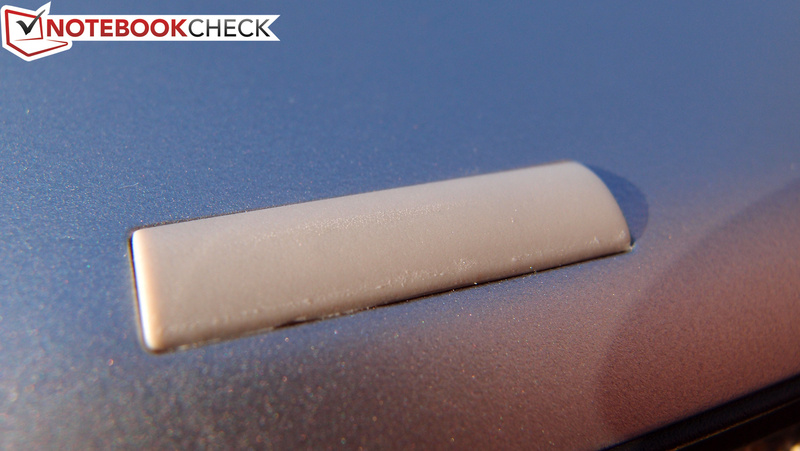 The final mode of input on the Yoga 2 Pro is a 10-point multitouch screen. As with the Yoga 13, we had no problems with input here; we were able to apply all ten fingers to the screen simultaneously and the device interpreted our gestures without issue. In spite of the fact that there’s still no Corning Gorilla Glass covering the screen, it seems fairly resilient regardless. Although in many forms this feature is still fairly gimmicky, we did have good success with the basic features of Lenovo’s Motion Control preloaded software. More complicated gestures, such as rotations of photos, were difficult to perform—but simple features like scrolling through photos using horizontal hand swipes were consistently functional at a distance of around six feet and closer. The Yoga 2 Pro’s glossy 13.3-inch IPS screen is the main attraction, and for good reason: with a QHD+ resolution of 3200x1800, it offers literally double the number of horizontal and vertical pixels of the Yoga 13, equaling 5.76 million pixels in total (versus the Yoga 13’s measly 1.44 million). Considering the screen size, that factors out to a calculated 276 PPI, which is far better than most other Ultrabooks and at least in the same ballpark as many phones and tablets (whose resolutions have quickly outpaced that of most notebooks). While it’s stunning, it’s probably also a bit excessive, however—at least, until the software catches up to the outrageous number of pixels. 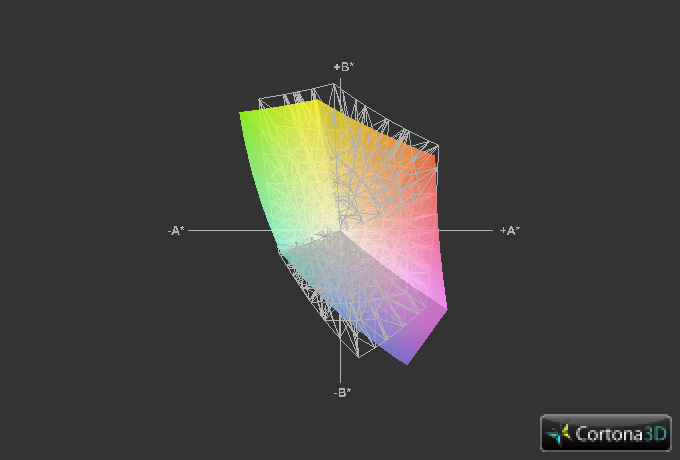 For all the benefits that accompany an ultra-sharp resolution, there are also plenty of drawbacks to being at the bleeding edge of the technology on this platform. 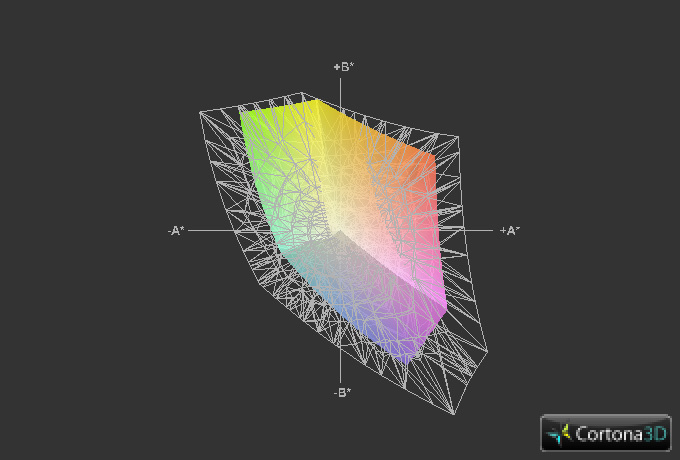 Primarily, we're referring to scaling issues, such as incredibly tiny windows and window control elements in many applications that are not written to accommodate such dense displays. Furthermore, many applications still cannot scale text properly, which also leads to jagged and/or fuzzy edges on letters. While this isn’t the Yoga’s fault, it’s still a drawback as a result of its design. Finally, due to the pentile pixel arrangement, text and other sharp elements appear jagged or fuzzy upon very close inspection. This isn’t overly noticeable during normal use, but it is detectable by those with good vision. Many people are not bothered by this, but much discussion has been had regarding mobile phones with similar LCD displays, and it is an occasional concern. 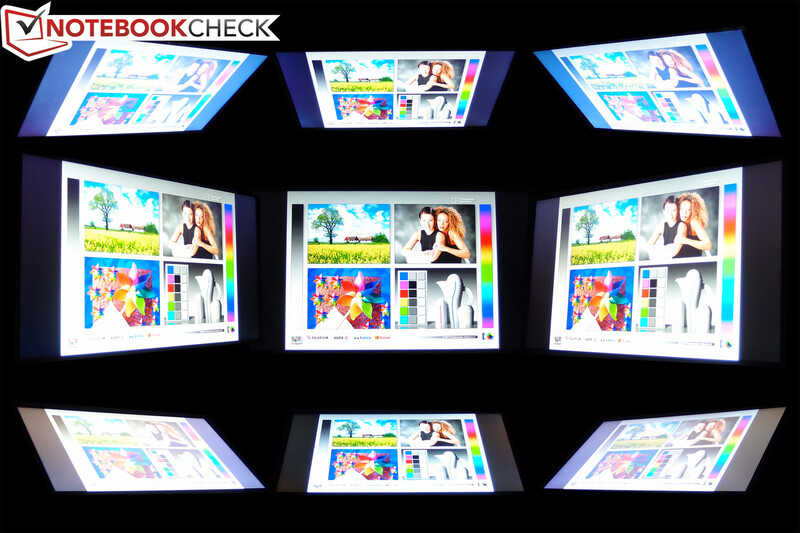 A related issue involves the RGBW design (as opposed to the traditional RGB) of the panel to assist with power consumption, which results in reduced color luminance—most noticeable in yellows (which appear slightly green). 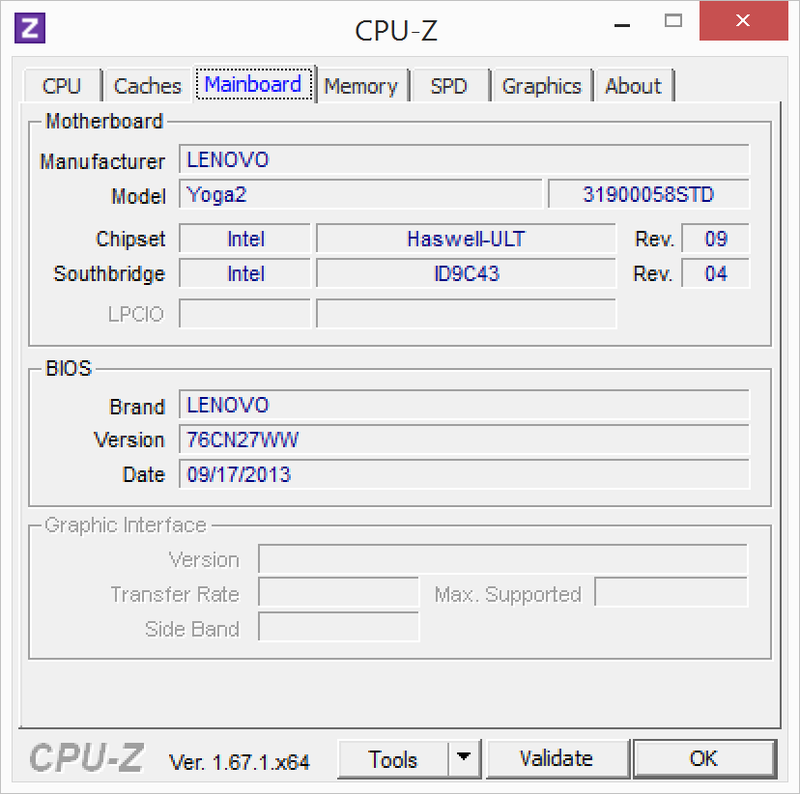 A combined BIOS update and Lenovo Energy Manager update helps to resolve this, though some report that the issue still exists to some extent. Subjectively speaking, we noticed the rough edges produced by the panel’s pentile design and were underwhelmed by the color luminance. However, overall, the picture is still quite attractive, with great brightness and a reasonably good contrast—and especially while in motion (such as when watching a video), the pentile arrangement is impossible to notice. Our measurements corroborate these findings: with an average brightness of 340.5 cd/m², the panel is well above the 268.3 cd/m² we measured on the Yoga 13, and just 10 below Lenovo’s claimed value of 350 cd/m². However, the maximum brightness while running on battery is just 302.5 cd/m²—good, but a little disappointing. Meanwhile, the contrast ratio of 496:1 is actually well below that of the Yoga 13 (923:1), but the difference isn’t all that evident during everyday use, and that’s still not a bad value. The drop is thanks to a corresponding deficiency in black value, which we recorded at 0.749 (Yoga 13: 0.31). 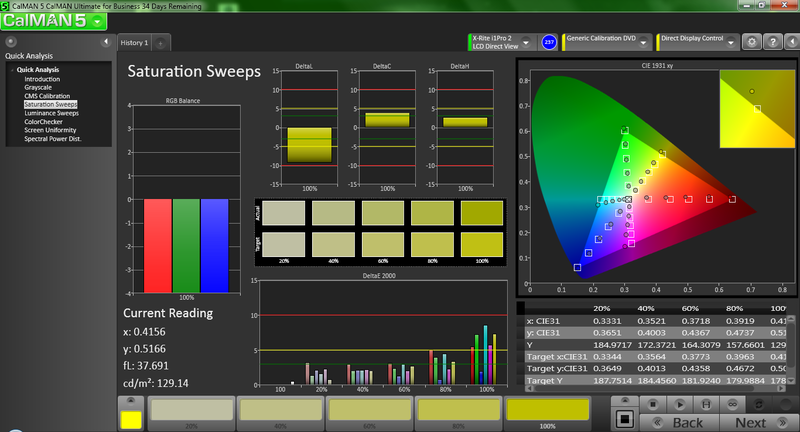 The good brightness distribution of 87%, on the other hand, means that illumination across all panel quadrants is relatively uniform. 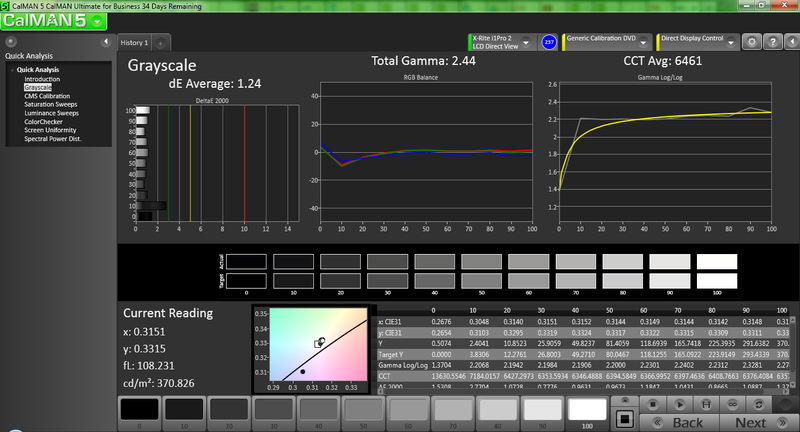 Interestingly, while Lenovo claims that the IPS panel in the Yoga 2 Pro features a 74% color gamut, we actually only measured 58% coverage of the sRGB spectrum. There’s a possibility that these results may have been affected by the aforementioned RGBW idiosyncrasies, but it’s unclear. Turning to CalMAN 5, we can see the quantification of the aberrant yellow hues that we mentioned previously. This calibration was performed before applying the BIOS update, however (and in fact, before the solution was available), so matters likely will improve somewhat thereafter. Elsewhere, things are mostly positive: an average DeltaE of 3.14 (ideal: 0) and a total gamma of 2.44 (ideal: 2.2)—both pre-calibration—are quite good. Thanks to the edge-to-edge glass, outdoor usability is only comfortable in the shade. That’s in spite of the good 303 cd/m² maximum brightness on battery, which does help to offset the reflectivity of the panel’s glossy finish to some extent, but which is quickly overpowered in brighter scenarios. On the other hand, viewing angles are predictably fantastic thanks to the IPS panel. There are three different CPU options for the Yoga 2 Pro, all of which hail from the Haswell family of 22 nm architecture. 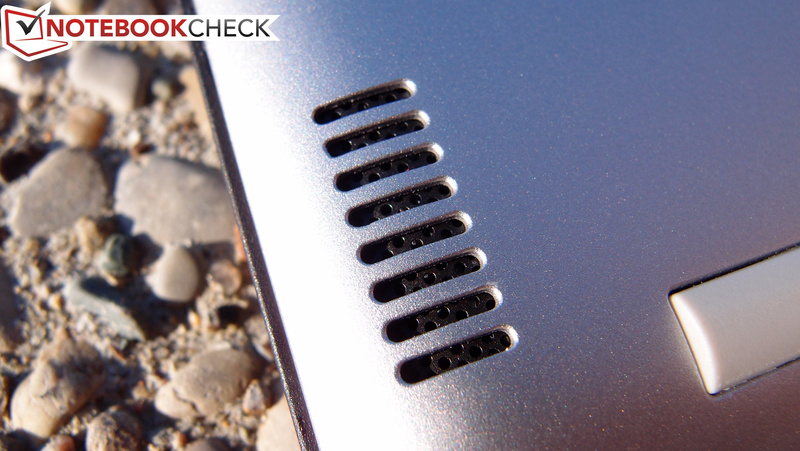 On the low end, there’s an Intel Core i3-4010U (1.7 GHz), and on the high end, a Core i7-4500U (1.8 GHz up to 3.0 GHz). Our review unit came outfitted with the middle option, which is an Intel Core i5-4200U with a base clock rate of 1.6 GHz and a Turbo Boost of up to 2.6 GHz (single-core) or 2.3 GHz (multi-core). 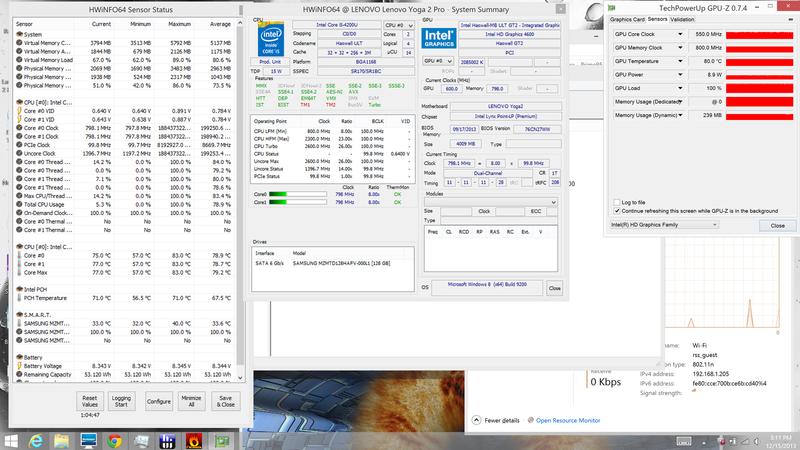 Featuring a TDP of just 15 W, it’s 2 W below even that of the Yoga 13’s Ivy Bridge Core i5-3317U. 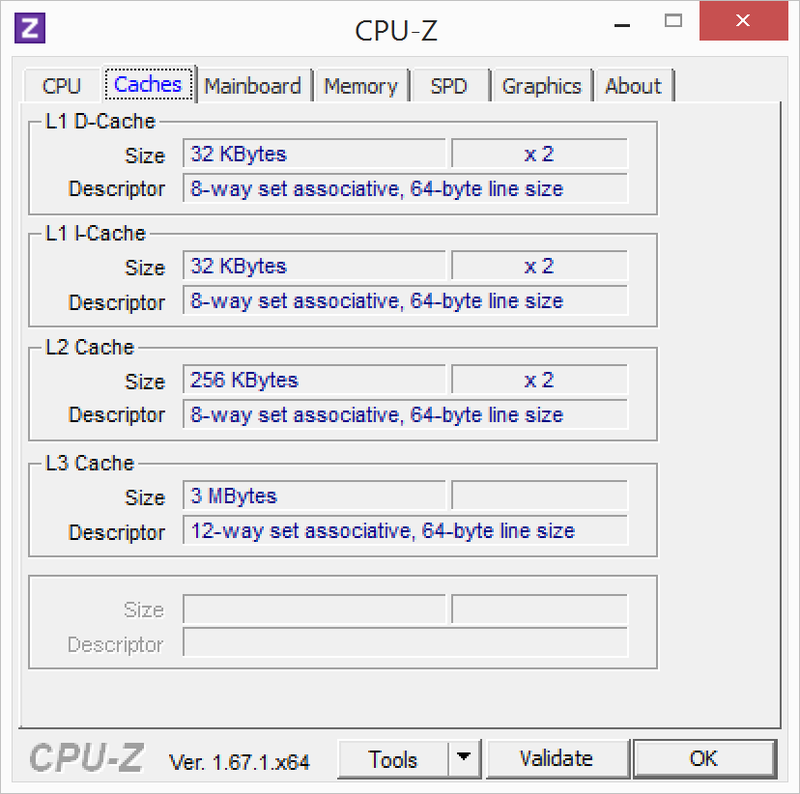 More information on this processor can be found on our dedicated page here. 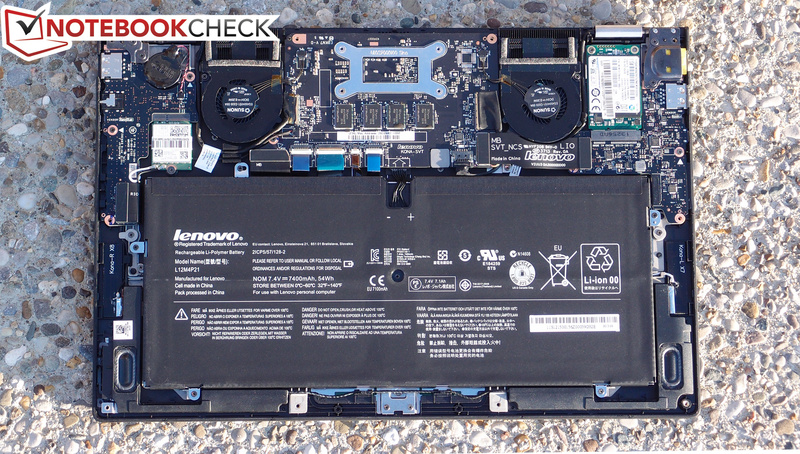 Currently (as of this writing) Lenovo only offers only one memory configuration for the Yoga 2 Pro on CTO models: 4 GB of DDR3L-1600 MHz RAM, which is what we received in our review unit. However, preconfigured models from retailers offer up to 8 GB of memory. The memory is soldered directly to the board and as such is not upgradeable. There are no empty slots available for the addition of SODIMMs. 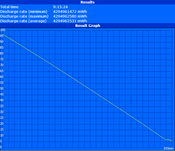 To check whether performance would suffer while disconnected from AC power, we performed a subsequent run of 3DMark 06 while operating on battery power only; the resulting score of 5509 (versus 5584 on AC power) allays any serious concerns. 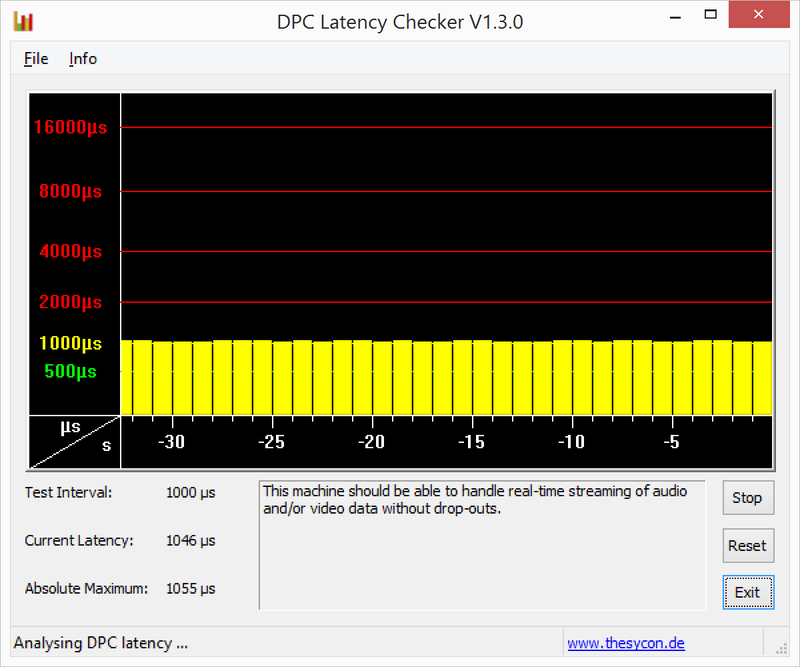 We also performed our usual checks with DPC Latency Checker and found no spikes in latency even with all wireless radios enabled. In context with other CPUs (according to our database), the performance of the Core i5-4200U should be most comparable to the Ivy Bridge Intel Core i5-3337U, which is a notch above the i5-3317U we received in our previous Yoga 13 review unit. 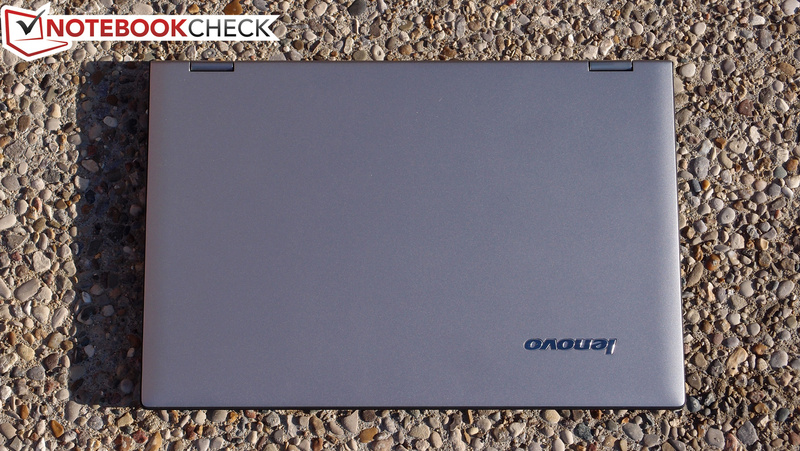 To that end, our synthetic CPU benchmarks of the Yoga 2 Pro provided mixed results. For instance, compared with other notebooks featuring the Core i5-4200U, 726 seconds in wPrime 1024m isn’t so bad (the average as of this writing is around 718 seconds), but a score of 804 seconds in superPi 32m is currently dead last. 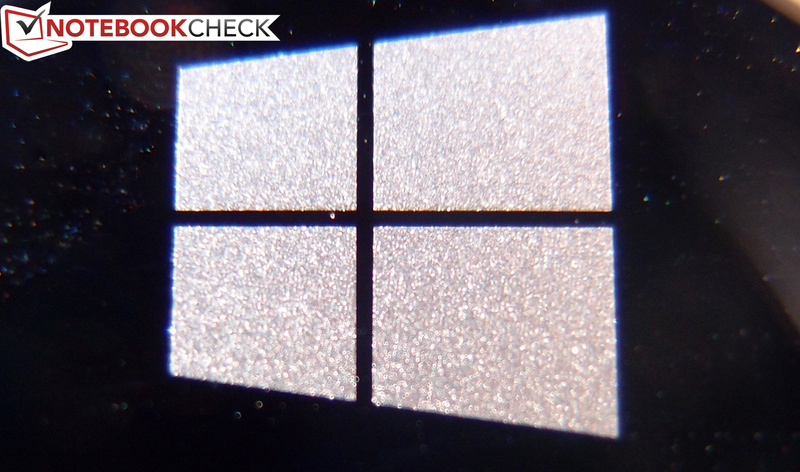 Results are not as consistent as that of many stronger rivals, such as the Microsoft Surface Pro 2 (wPrime 1024m: 661 / superPi 32m: 722) and Lenovo ThinkPad T440s 20AQ-S00500 (658 / 740). 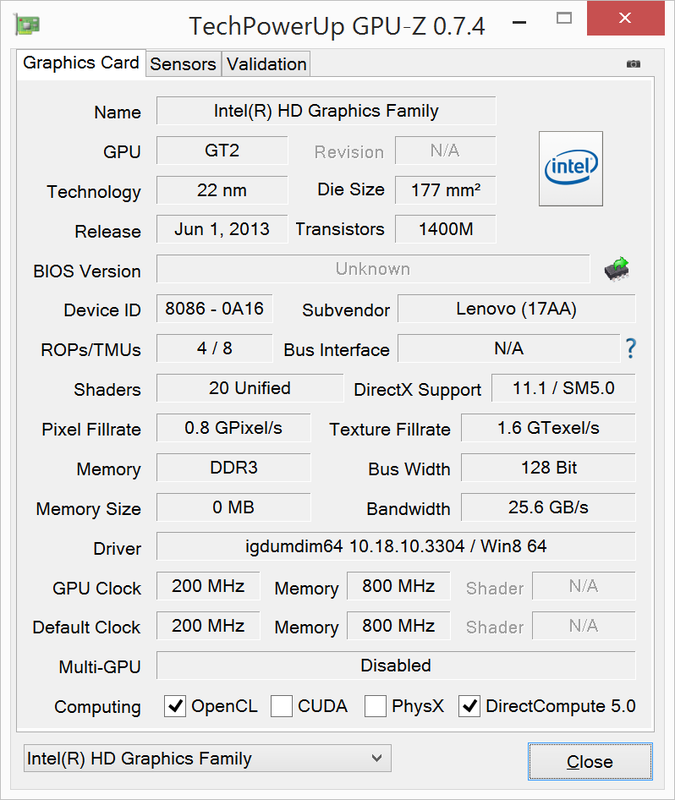 The same goes for Cinebench R11.5 Multi 64-bit, where the Yoga 2 Pro’s score of 2.39 is merely middling. Regardless of the lack of surprises in terms of CPU performance, overall system performance is anything but slow. 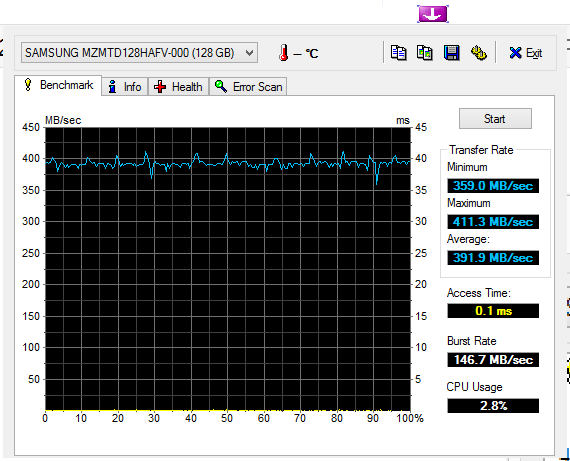 Subjectively, applications load snappily and startup and shutdown times were incredibly fast. This is primarily attributable to the fast solid-state drive included in the Yoga 2 Pro (which we’ll explore in greater detail in a moment). To substantiate those sentiments, we turn to PCMark. 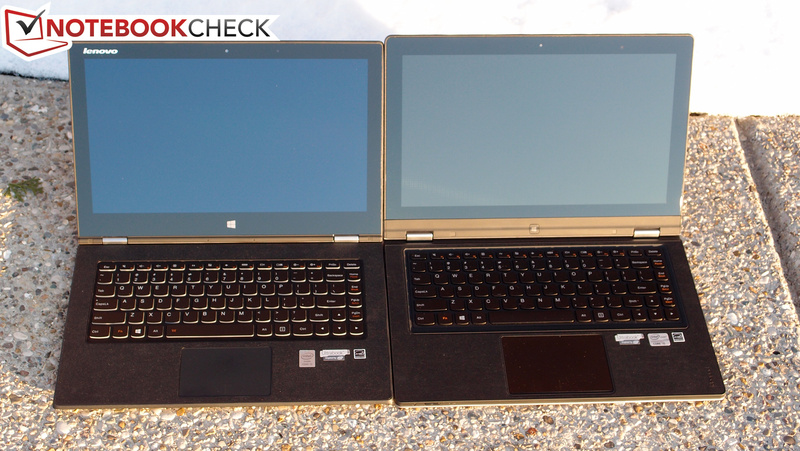 The Yoga 2 Pro’s scores of 4670 and 10818 in PCMark 7 and PCMark Vantage respectively immediately communicate its excellent general system performance. 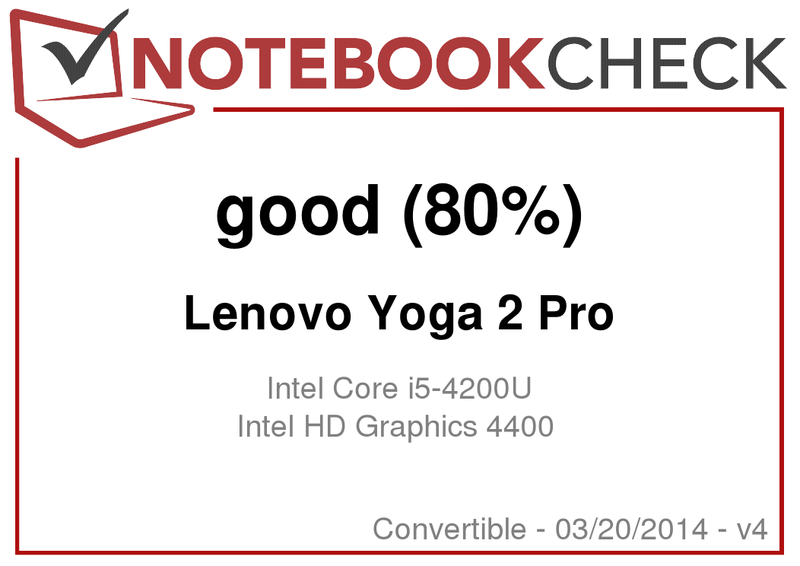 That’s a little above the Yoga 13’s score of 4396 in PCMark 7, and fast enough that the system should never feel sluggish in day-to-day use (PCMark Vantage was incompatible with Windows 8 when that article was written, and thus no score exists for comparison). The storage device responsible for this fast application performance is only one of three available options for the Yoga 2 Pro: the device is configurable with 128 GB, 256 GB, and 512 GB options. 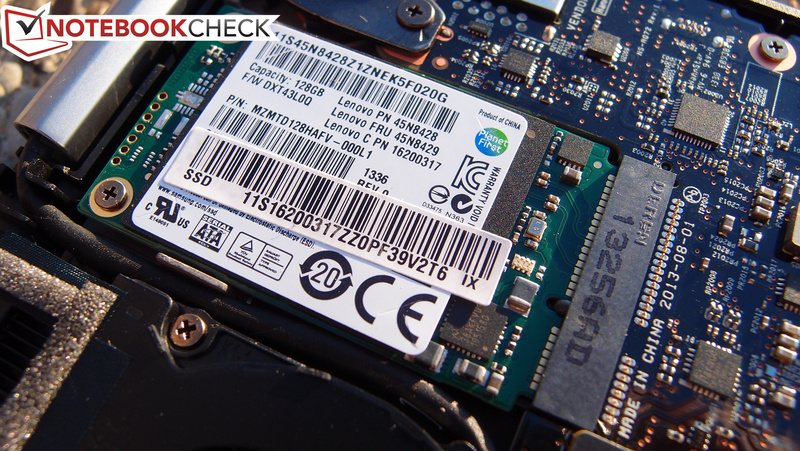 Our review unit shipped with the lowest-capacity available (128 GB); specifically, the drive in our notebook was a Samsung PM841 MZMTD128HAFV mSATA SSD. Its performance is still quite good, however; with a total score of 732 in AS SSD and a sequential read rate of 501.27 MB/s, it’s a very quick drive when accessing data. 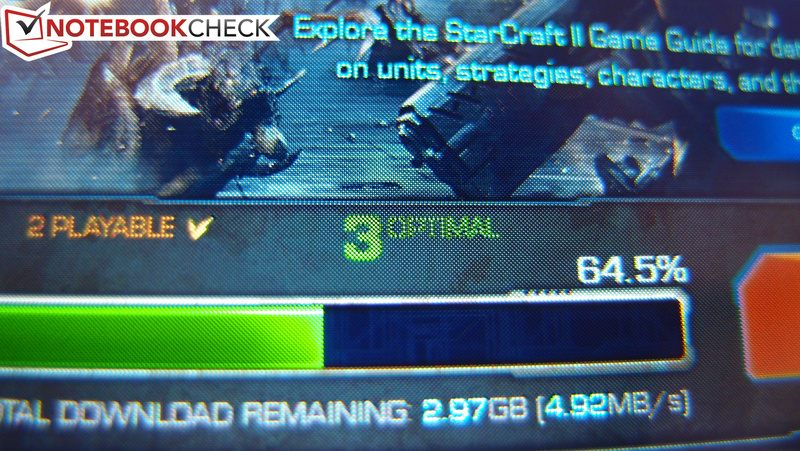 It’s bottlenecked by its write performance, however, with just 129.67 MB/s in that category—weak for any SSD. 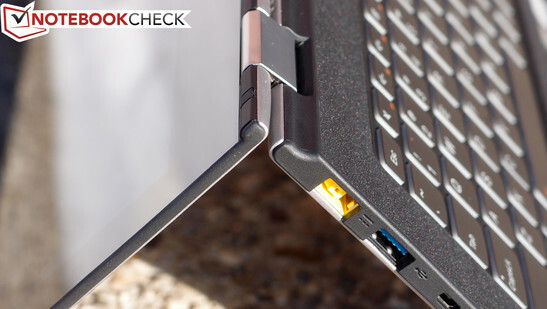 Fortunately, if that’s a problem, it’s easy to replace the drive in the Yoga 2 Pro. Since the parts are all accessible via the removable bottom panel, swapping out the provided mSATA SSD with a more capable model is an easy feat. 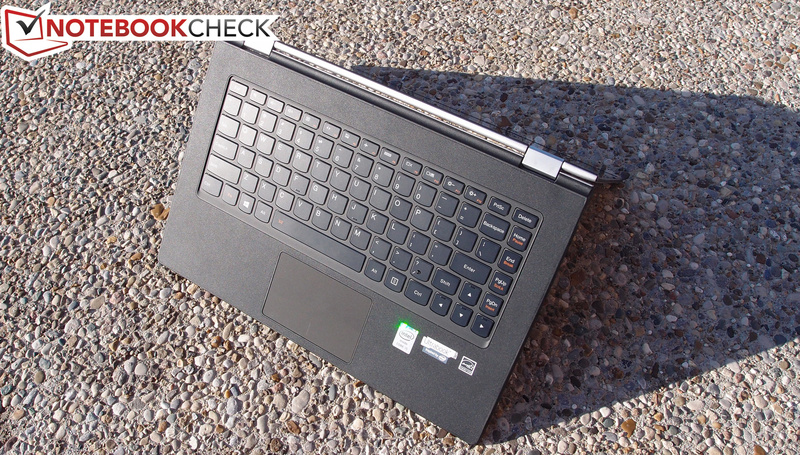 The Yoga 2 Pro’s GPU is the integrated Intel HD Graphics 4400 with a clock speed ranging from 200 to 1000 MHz (maximum Turbo Boost). Much like our experience with the IdeaPad Yoga 13 a year earlier (as well as many other ULV machines), the GPU performance is constrained by the machine’s inability to consistently leverage Turbo Boost maximum clock rates as compared to some competing models. When the GPU is first engaged, we see its clock speeds locked at 1000 MHz (the maximum Turbo Boost speed), but soon thereafter, it quickly drops to around 500 – 600 MHz and remains at that level. This drop may oddly be provoked by temperatures reaching 65 degrees C; before that point, the Turbo Boost is in full force. This obviously detrimentally affects gaming performance to some degree, though scores are still above average amongst similarly-equipped competitors. Scores of 5584 and 897 in 3DMark 06 and 3DMark 11 are fairly strong given the low-voltage heritage, though they’re easily bested by, for instance, the Acer Aspire V7-582P-6673’s 6204 and 964. Still, it’s in an entirely different league than the Yoga 13’s 4368 and 573, both of which were more believable scores for the ULV landscape prior to Haswell’s reign. Our real-world gaming tests echo those findings, with overall good scores, but nothing category-defining. You can find the full results of our tests in the table below. 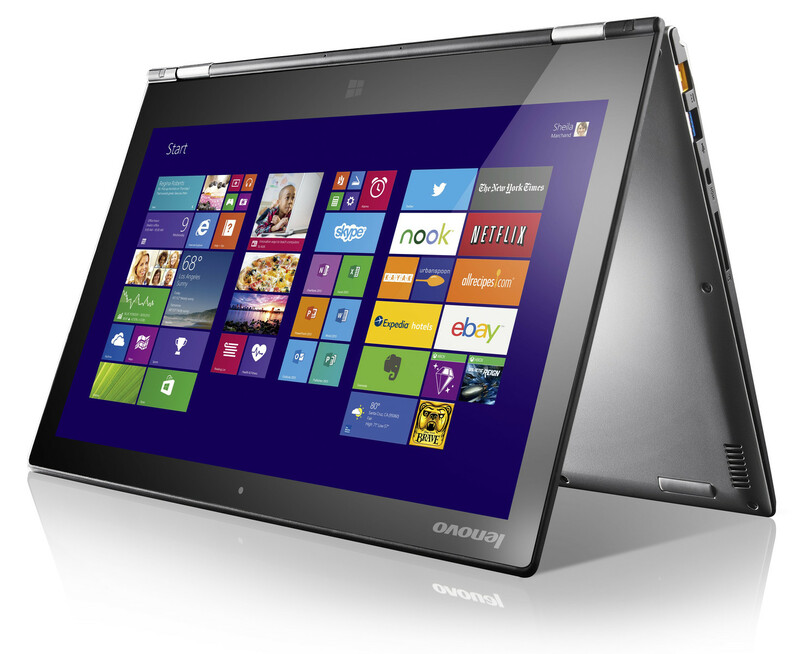 The Yoga 2 Pro does a great job of remaining quiet in every situation, no matter how trying. We recorded an overall maximum noise level of just 37.2 dB(A) even while under heavy load, and a median value of just 29.9 dB(A) while idle. As those measurements suggest, the notebook never becomes an audible annoyance in any scenario. While the load levels are similar to that of the Yoga 13, the idle levels are a full 5 dB(A) lower, which is seriously significant. Fortunately, those great noise readings only come at the expense of slightly higher temperatures. 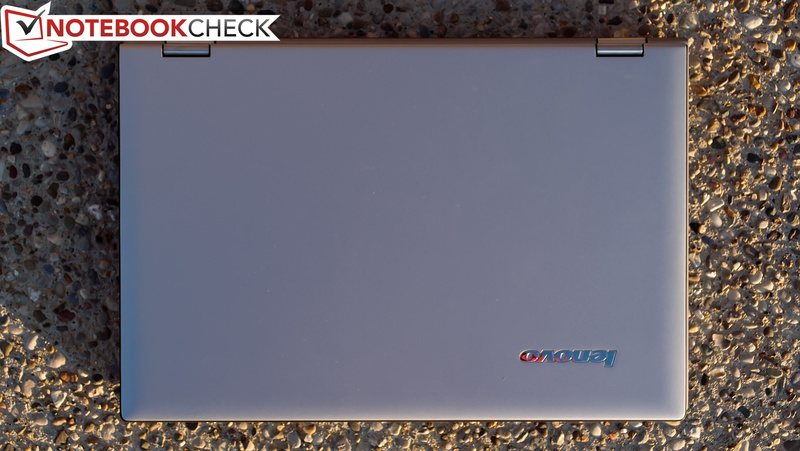 While the Yoga 13’s hottest point under load was 41.6 °C in the upper-right quadrant of the underside of the notebook, the Yoga 2 Pro’s is a full 4 °C warmer at 45.8 °C in the top center of the keyboard. Still, that’s not such a troublesome temperature, and the underside is even a bit cooler, with the hottest reading coming in at just 43.2 °C. While idle, no heat is noticeable whatsoever; the highest measurement we took under these conditions was just 30.4 °C. (+) The average temperature for the upper side under maximal load is 30.2 °C / 86 F, compared to the average of 30.3 °C / 87 F for the devices in the class Convertible. (-) The maximum temperature on the upper side is 45.8 °C / 114 F, compared to the average of 35.4 °C / 96 F, ranging from 21.8 to 55.7 °C for the class Convertible. 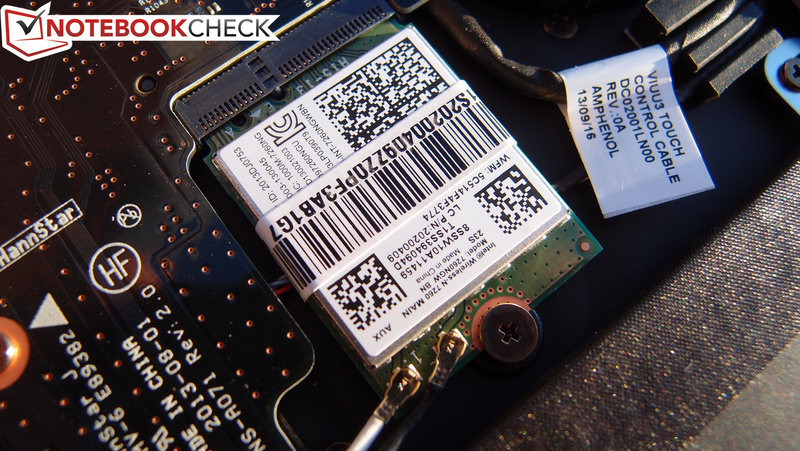 (+) In idle usage, the average temperature for the upper side is 25.7 °C / 78 F, compared to the device average of 30.3 °C / 87 F.
We subject notebooks to a stress test here at Notebookcheck to assess their ability to maintain performance under heavy system loads. To simulate this stress, we use FurMark and Prime95. 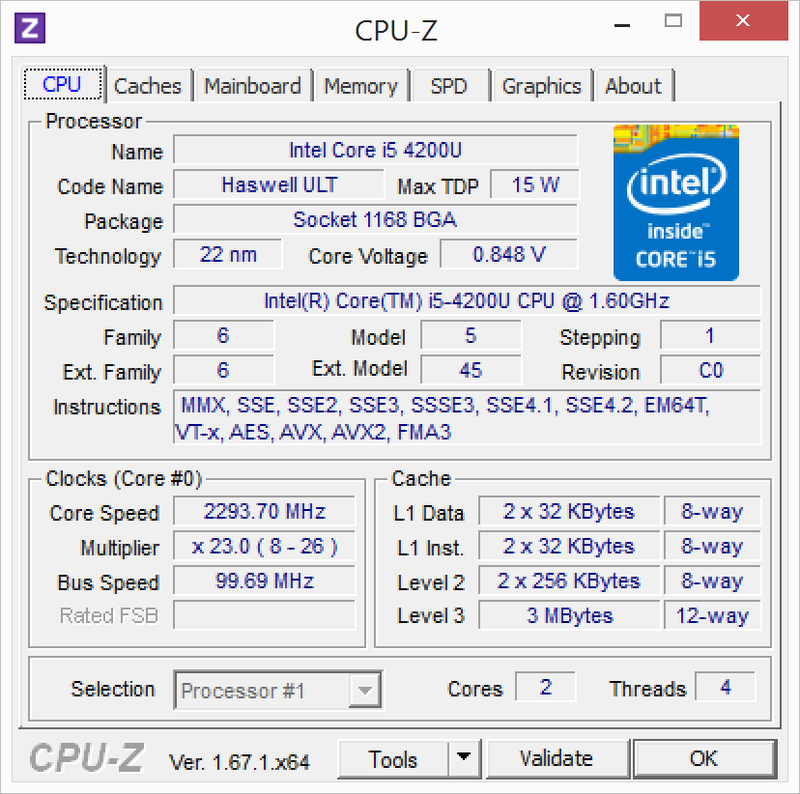 Under full CPU stress (using Prime95), we observed stable clock rates of 2.3 GHz, which is the maximum multi-core Turbo Boost frequency for the installed i5-4200U CPU. Meanwhile, under full GPU stress (using FurMark), things weren’t quite so positive: although the machine begins at the maximum GPU Turbo clock rate of 1000 MHz, once temperatures climbed to around 65 °C, the clock rate dropped and began wavering between 550 MHz and 600 MHz—far below the maximum. 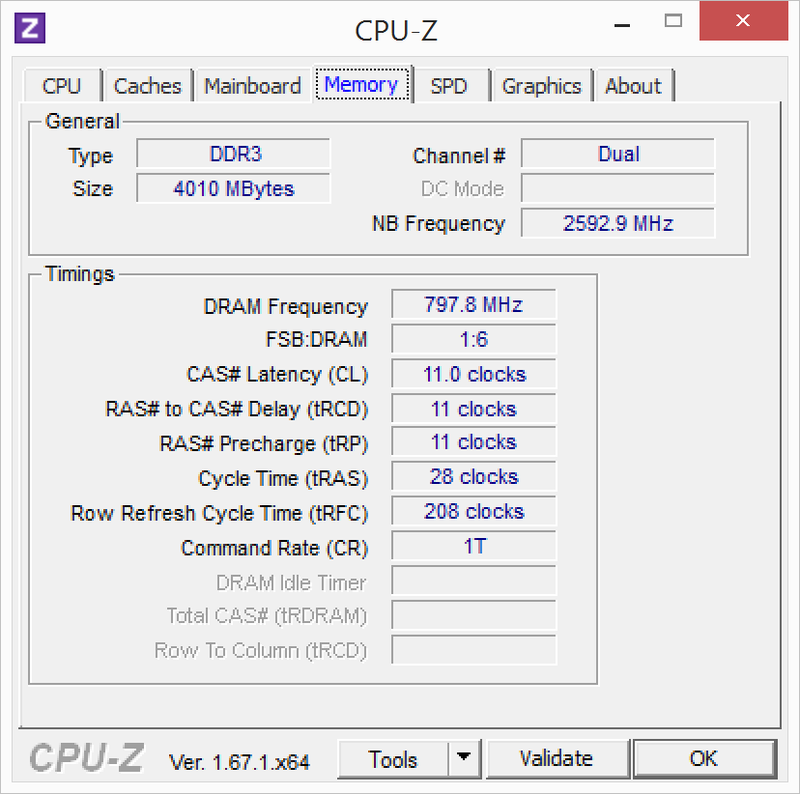 However, since these frequencies are still above the base clock rate of 200 MHz, this doesn’t qualify as throttling; rather, it’s merely an inability to maintain full Turbo Boost clock rates. Finally, we layered both full CPU and GPU stress simultaneously to produce a seriously taxing (and realistically unlikely) situation for the notebook. Under these conditions, it’s hardly surprising that the machine quickly buckles: GPU clock rates maintain just 450 MHz, and both CPU cores are locked at 897 MHz (half the base clock rate, and throttling by definition). We performed a subsequent run of 3DMark 06 immediately following our stress testing to see if these conditions would manifest in the form of lower performance. Fortunately, with a score of 5531, they do not. 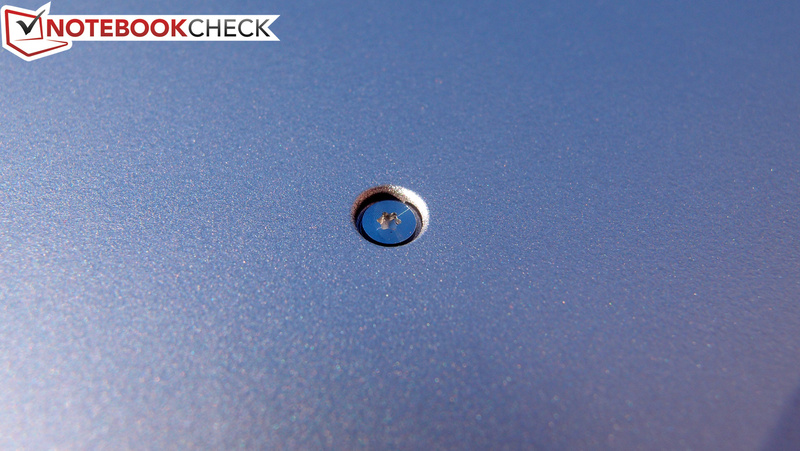 The Yoga 2 Pro is equipped with two bottom-mounted speakers. As with all down-firing speakers, they are able to project more effectively while the machine is resting on a surface, so their capabilities are dampened while in Tablet, Tent, or Stand Mode. Nevertheless, volume levels are sufficient, and they do a fairly good job of producing a balanced output. 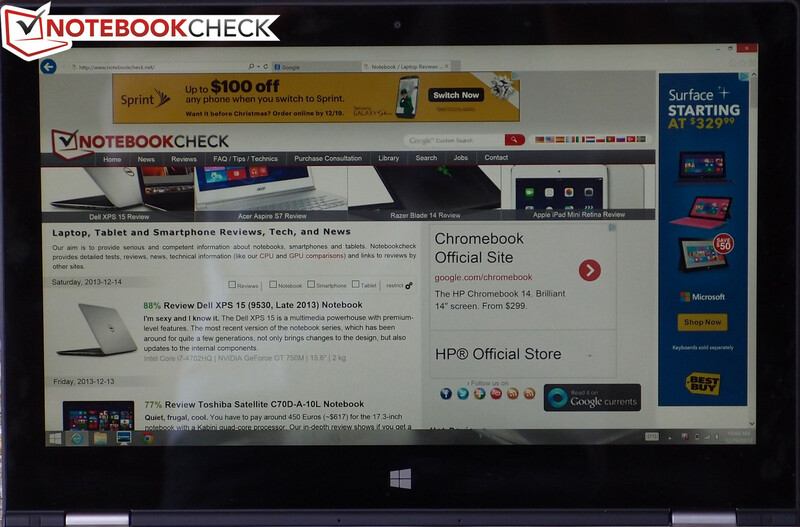 It’s not great quality, but it’s beyond that of many competing Ultrabooks. 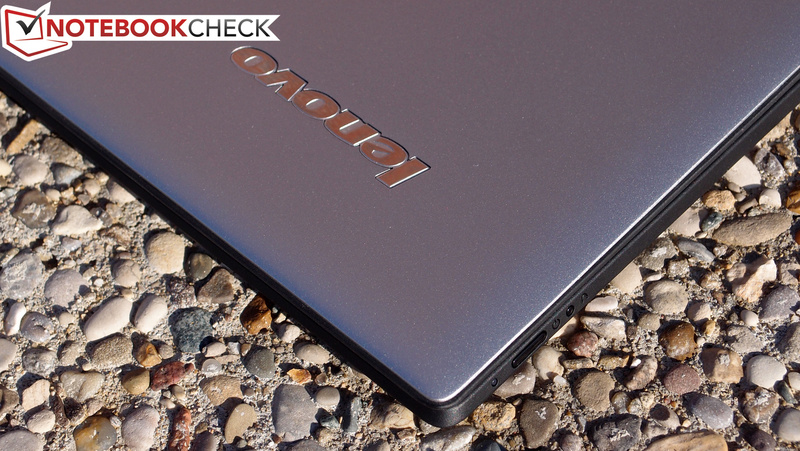 As novel and impressive as the original Yoga 13 was, it didn’t stand out in the area of battery life. 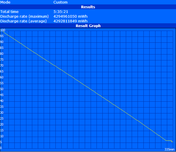 It will be interesting to see whether the Yoga 2 Pro’s Haswell CPU can overcome the likely increase in power demand brought on by its ultra-high-resolution screen to produce a result superior to that of last year’s model. 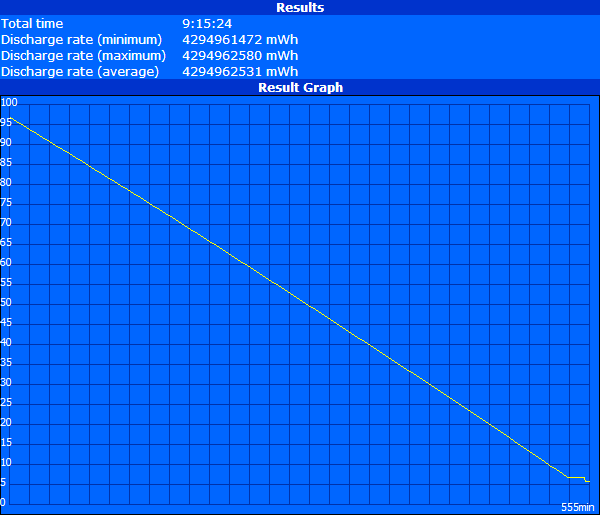 For our first battery test, we simulated maximum load to discern a hypothetical minimum runtime for the system. 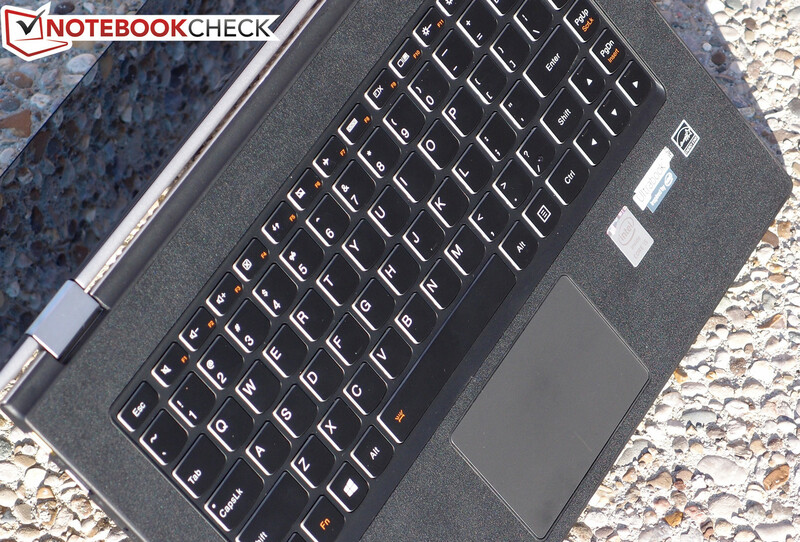 For this, we configured the notebook’s power profile to High Performance, set brightness to maximum, enabled all wireless radios, and performed the Battery Eater Pro Classic Test. 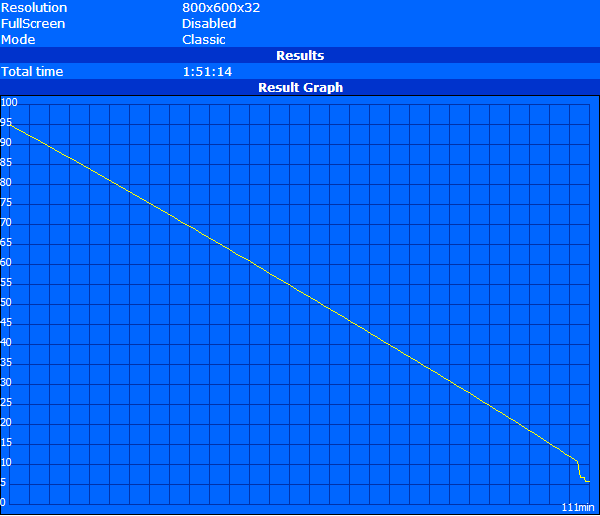 The result was just 1 hour and 51 minutes, slightly below that of the Yoga 13. On the opposite end of the spectrum, our maximum runtime test involves the Power Saver profile, minimum screen brightness, wireless radios disabled, and the Battery Eater Pro Reader’s Test. Here, the notebook managed 9 hours and 15 minutes. Finally, for our Surfing with Wi-Fi test, we re-enabled wireless, set the power profile to Balanced, configured brightness to 5/10 (as close to 150 cd/m² as possible), and performed our web surfing script to simulate typical browsing activity. Under these more realistic conditions, we recorded a total runtime of 5 hours and 35 minutes—around an hour above that of the Yoga 13 (4:29), but far below that of many other modern Ultrabooks, including those with high-resolution and high-brightness screens and identical configurations, such as the Dell XPS 12-9Q33 (which managed 8 hours and 47 minutes in that same test). 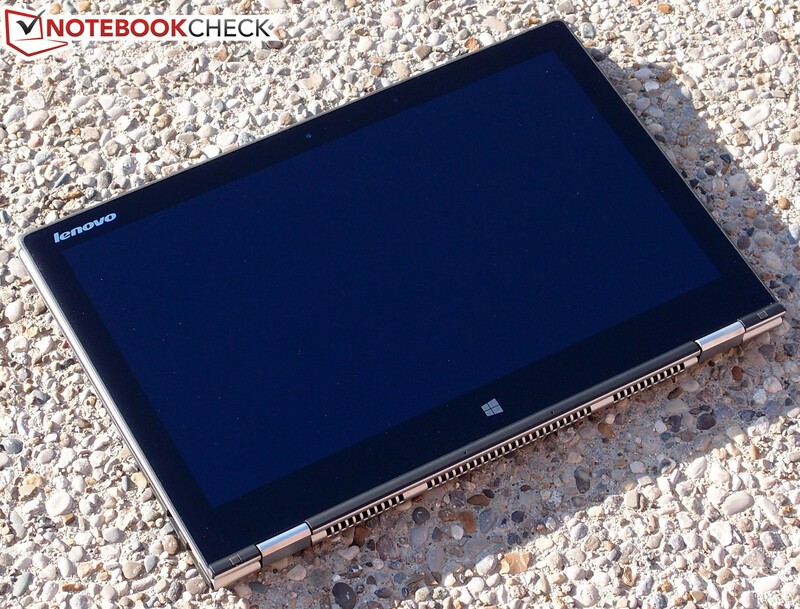 The Yoga 2 Pro is an ambitious device, sporting one of the most stunningly high-resolution notebook screens we’ve seen to date and topping the efforts of its predecessor while still maintaining the unique acrobatic convertible design. Not only does it feature great build quality and incredibly fast general system performance, it’s also outfitted with a very good keyboard and touchpad and an excellent 10-point multi-touch screen. 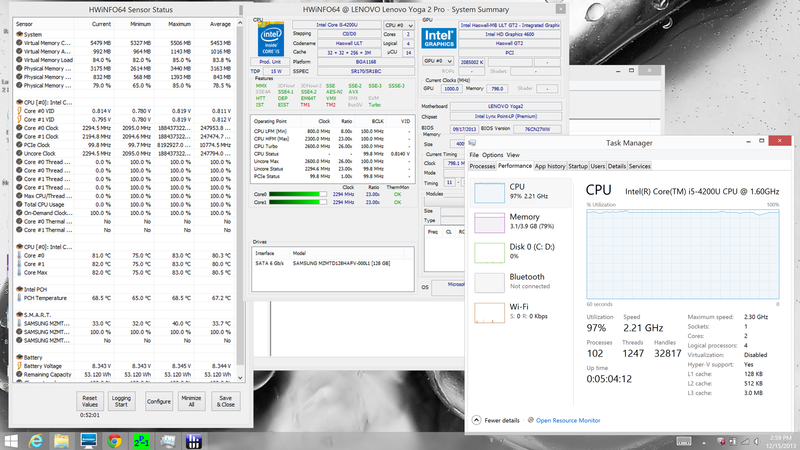 Finally, it does a great job of managing temperatures while still remaining fairly quiet even under load. It’s certainly a step forward from last year’s Yoga 13, but in spite of its triumphs, there are still some areas that could use improvement. For starters, as stunning as it is, the screen’s pentile pixel arrangement and RGBW properties produce some unintended side effects (namely, jagged sharp edges and color saturation and hue idiosyncrasies) that will bother some users. 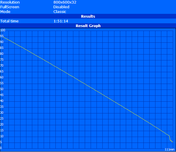 Not all aspects of Windows or its applications are designed to handle such a resolution, either, and that results in some frequently bizarre scaling misfortunes, manifesting in the form of blocky text and under/oversized GUI elements. The Yoga 2 Pro also could do much better in the area of battery life—where it struggles to compete with today’s best Ultrabooks—and it can’t handle heavy GPU stress without reducing its clock rate. Finally, nitpicks concerning wireless connectivity problems and a slight screen wobble while typing or tapping are worth weighing as well. Other options worth considering include the HP Spectre 13-h205eg x2, the Dell XPS 12-9Q33, the HP EliteBook Revolve 810, and the Sony Vaio Duo 13 SVD1321M2E, all of which are very strong machines. 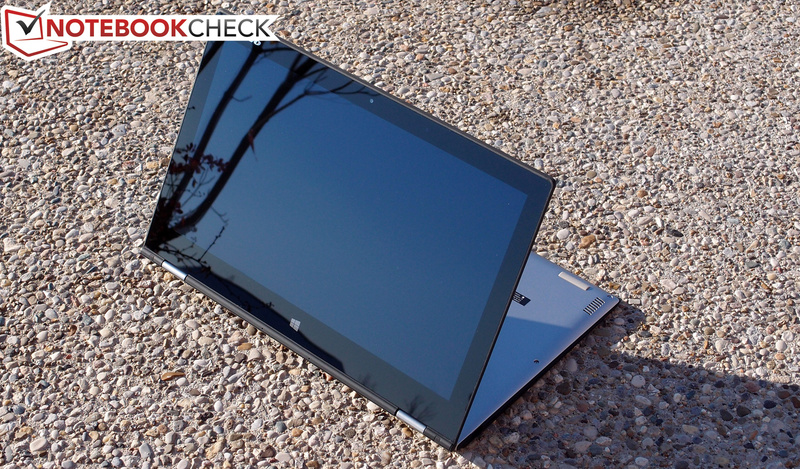 All in all, however, the Yoga 2 Pro is itself a convincing addition to the convertible market—and one which certainly deserves attention from anyone looking to buy, even in spite of its drawbacks. ...but it's slimmer and lighter. The stunningly high-res and bright IPS screen, comfortable weight, great build quality, and quick system performance all add up to a strong choice for an affordable convertible. Better battery life and software support for QHD+ panel resolutions, as well as corrections for some of the more minor issues we encountered.